I am on the hunt for a new cosmetics bag to organize my non-toxic beauty products. Who knew there were so many fun, functional, American-made choices? Help me choose, vote for your favorite below! 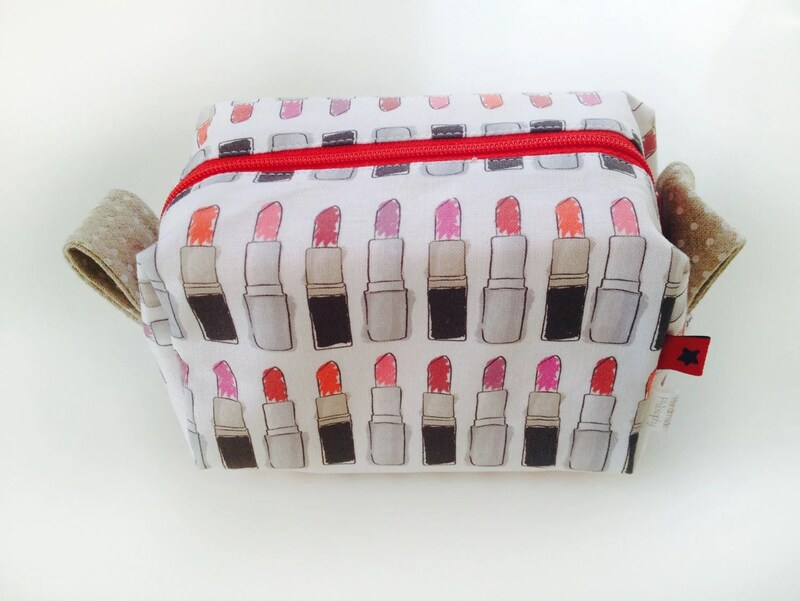 This lipstick print bag for $24 is just so…happy! Fun on the outside, practical on the inside with a waterproof lining. Made in PA by Etsy seller handmadephilosophy. So gorgeous. $179. Designed and produced entirely in Los Angeles by Stephen Kenn. 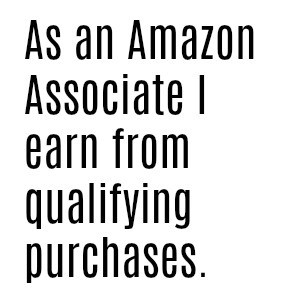 Via Kauffman Mercantile. Made in America by Cinda B (buy used or new on eBay*), this train-case style bag for $63 could definitely hold all of my goodies! Also lined for easy wipe-downs. Mineral makeup can be messy, folks. Or what about this set of zippered pouches from Brooklyn’s own Baggu? Plus, these lovelies are on sale for $12! *2015 UPDATE: Thanks to a reader for letting me know that Baggu now manufactures their bags in China. A workaround is to purchase their bags used via eBay* – good prices and you will only be buying items that are already in the “waste stream” which is better for the environment! Love the Alexandra Ferguson bag. Adding to my wish list. 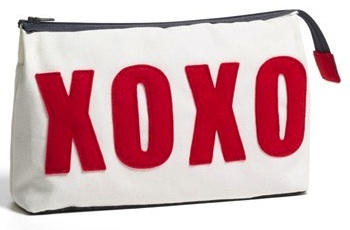 XOXO gets my vote. 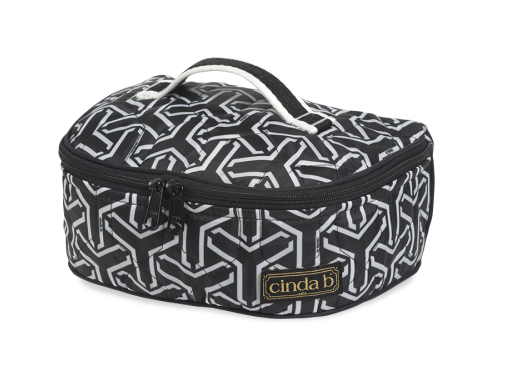 You may have already bought your bag, but I just wanted to say that I have a cinda b bag and love it! Worth the price. Thank you! I actually haven’t gotten one yet! The cinda b bags look very practical AND pretty! Thank you, Reader! The post has been updated to reflect this information.